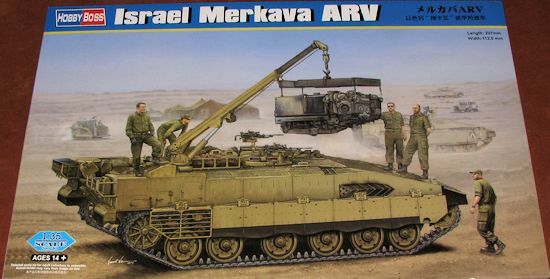 The Merkava series of tanks dates to the 1960s, when Israel drew up plans to remove its military-industrial complex from reliance on foreign factories. Israel's economy and national reserves, backed by U.S. military grant aid, allowed it to purchase nearly any land, sea, or air platform and weapon from friendly nations, but Israel's infrastructure was not capable of producing those items domestically. In 1965, Israel's military establishment began research and development on a domestically-produced tank, the "Sabra" (Hebrew slang for a Jew born in Israel, not to be confused with the modern Sabra tank). Initially, Britain and Israel collaborated to develop the United Kingdom's Chieftain tank that had entered British Army service in 1966. However, in 1969, Britain decided not to sell the tank to Israel for political reasons. Israel Tal, who was serving as a brigade commander after the Suez Crisis, restarted plans to produce an Israeli-made tank, drawing on lessons from the 1973 Yom Kippur War, in which Israeli forces were outnumbered by those of the Middle East's Arab nations. Realizing that they could not win wars of attrition, the Israelis set stringent requirements of crew survivability and safety for the new tank platform. By 1974, initial designs were completed and prototypes were built. After a brief set of trials, work began to retool the Tel HaShomer ordnance depot for full-time development and construction. After the new facilities were completed, the Merkava was announced to the public in theInternational Defense Review periodical. The first official images of the tank were then released to the American periodical Armed Forces Journal on May 14, 1977. The IDF did not officially adopt the tank until December 1978, when the first full battalion of 30 tanks was delivered for initial unit training. As with all tanks, there are a number of other vehicles based on the Merkava chassis. One of them was the ARV or armor recovery vehicle. This was based on the Merkava III chassis, but has a lot of the features of the Merkava IV. This vehicle is not only used for recovery, but for things like field engine changes, thanks to the strong boom that is part of the fit. For a lot more information on the tank and variants, visit the reference link. In line with other Hobby Boss armor kits, this one is superbly molded in tan plastic with some parts in other materials. 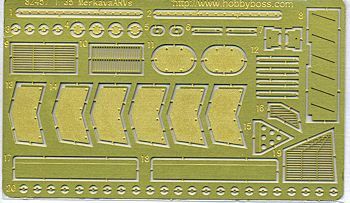 There is a single fret of etched brass and this one has a whole new upper hull section, since there is no turret. I guess the vinyl rubber for the road wheels did not go over well on the earlier release as that is not part of this kit. Too bad as I liked that feature for I hate to paint road wheels. The kit also provides separate track links. While more work to assemble, they really do look very good when one is done. The kit also comes with individual plastic track links so it will not be a quick build. Since this is the ARV, the entire upper deck is different from the tanks. In place of the main turret, the kit provides two machine gun positions and the rear hoist. The hoist is designed to articulate in both azimuth and elevation. In addition, the hoist boom can be extended or retracted as you would wish. The area between the hoist and machine gun positions is a series of baskets for spare parts and there are also additional baskets on the rear. 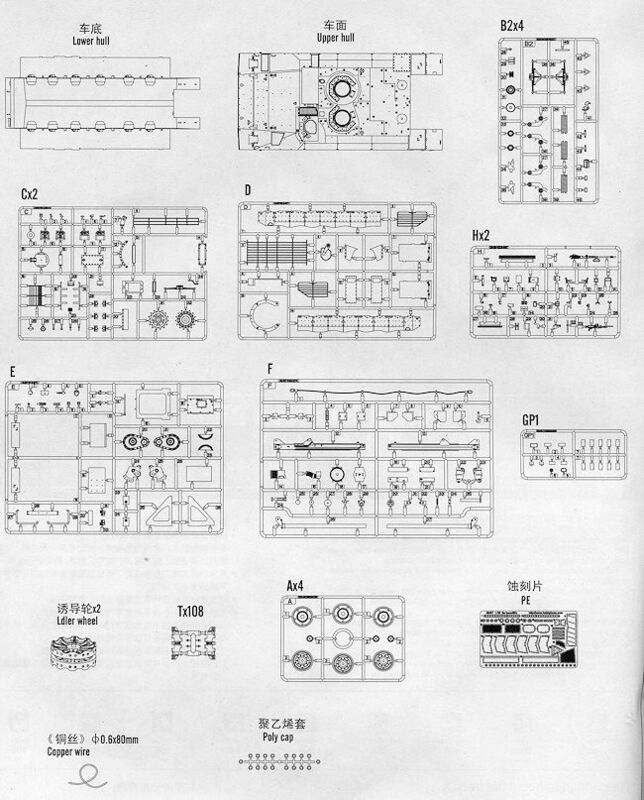 Instructions are very nicely drawn with 19 somewhat busy construction steps. Any optional parts are shown and there are small detail sections to show how some of the pieces are properly aligned. The nicely done decal sheet provides markings for two unidentified tanks. Both are in the new Sinai Grey color that looks very much like RLM 02. It is a color you will need to mix as none of the paints shown in the paint chart have them ready mixed. There is not decal sheet provided as apparently these vehicles were simply assigned as needed. It is great to see Hobby Boss provide this interesting variant. One thing for sure, this is not a small vehicle and it will look great when you have completed it. Thanks to Squadron Products for the preview kit. Get yours at your local retailer.